It’s Wednesday, and seeing as I haven’t posted a What I Ate Wednesday in over two months, I though it was time for another one. I’m currently in my final few weeks of University lectures, meaning that I have lots of deadlines in a very short amount of time. In other words, I’m spending most of my time at home or in the library, and I need a lot of brain food. It’s so important to eat well when you’re studying intensely; you might not be physically active but your brain is doing a lot of work, and it needs the fuel to do so properly. So here is what I eat when I’m super busy with University work! I’m sure it’s no surprise that I have oatmeal for breakfast, it’s always my go-to first meal of the day. The weather has been so nice lately and it’s inspired me to have more summer-y oats. 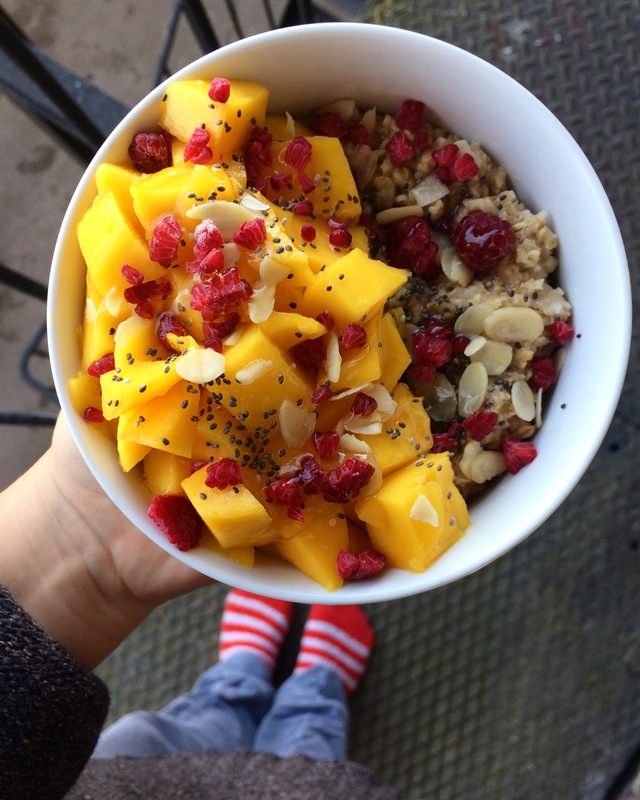 This time I had coconut oats (I added some coconut cream to the oats while cooking; SO GOOD) and topped it with mango, raspberries, almonds, chia seeds and vegan honey. So filling and delicious; I always feel ready to take on the day after my bowl of oats. I always have the tendency to get ill when I am stressed with work. I think it’s mainly because I end up spending a lot of time indoors and not moving my body enough. It’s definitely something I try to be aware of but some days are better then others. 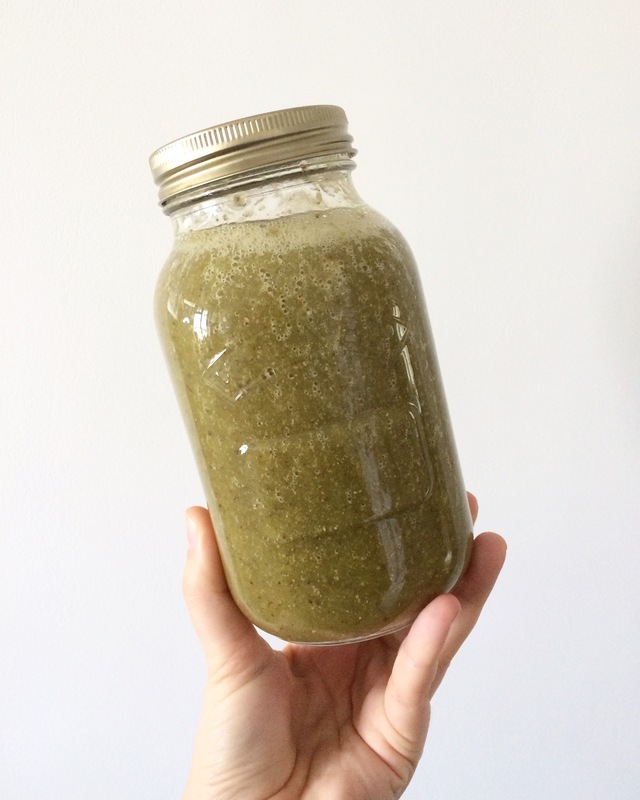 I try to have a green smoothie to combat any illness though; this time I went for banana, mango, greens powder (I like this one from Amazing Grass) and water. Super simple but essential for keeping my body healthy. Is there anything better than avocado toast, really? You need to get those healthy fats in and my favourite source of it is avocados. 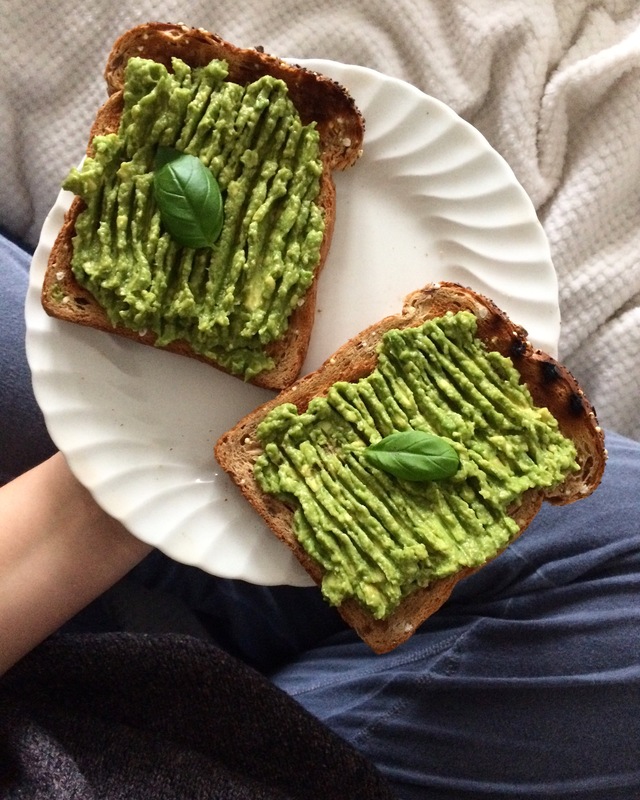 I always add a little bit of balsamic vinegar, salt, pepper and garlic powder to my avo and it makes the best lunch. 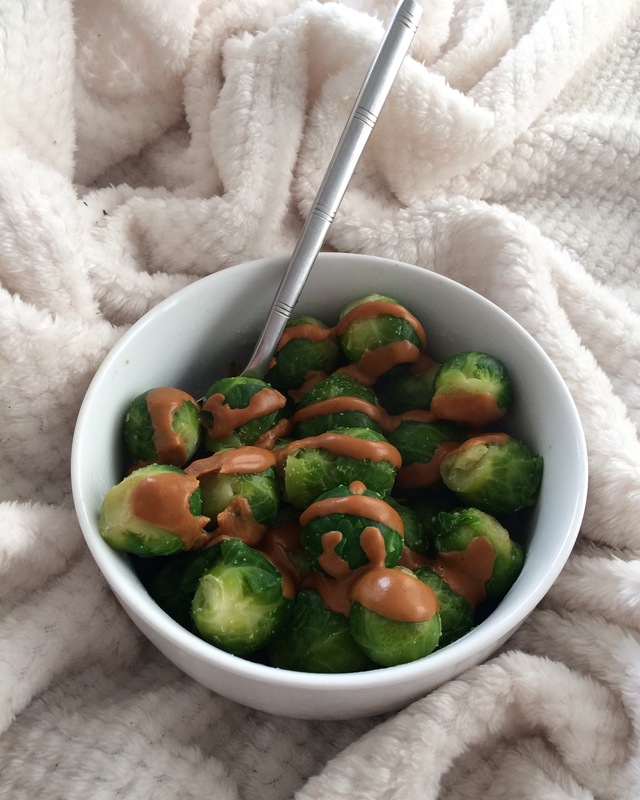 Okay, this might sound like a super weird combo but trust me: brussel sprouts with peanut sauce is AMAZING. I used to have this combo all the time when I was little (I think it’s actually pretty common in The Netherlands) and I recently re-discovered it. It’s the perfect afternoon snack because it’s sweet and savoury, and also super nutritious. I make my peanut sauce by mixing some powdered peanut butter with soy sauce. I’ve been loving simple dinners lately; partly because I’m lazy and also because it’s satisfying. 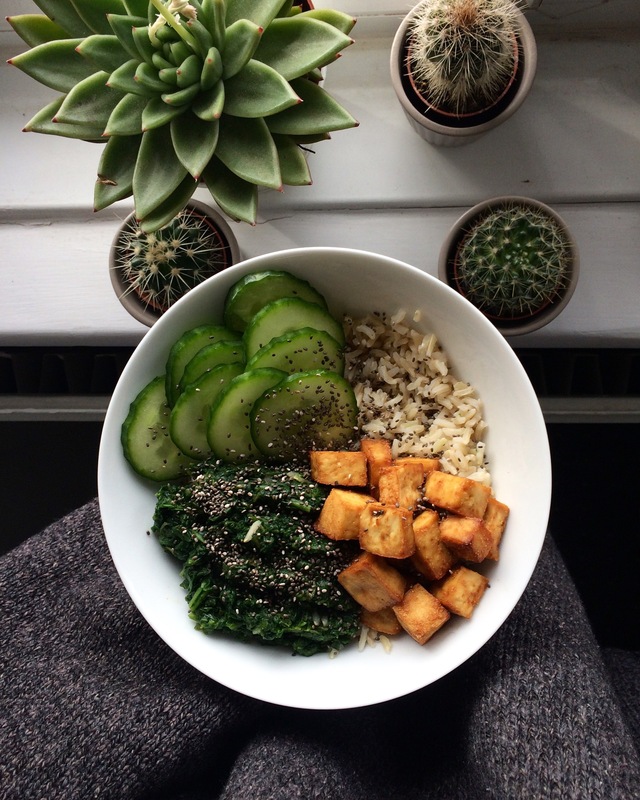 This time I went for brown rice with cucumber, spinach and baked tofu. Topped with some chia seeds and soy sauce, this was actually really yummy. What are some of your favourite brain foods? To see more of what I eat, remember to follow me on Instagram.